Drunk driving is aggressively prosecuted in the District of Columbia. Even a first time offense may result in significant fines, jail time, loss of driving privileges, and other negative consequences. A DUI conviction may impact your ability to find a job or maintain employment, and you can expect your car insurance to increase significantly or even be cancelled. It is important to speak with a knowledgeable and experienced DC DUI attorney immediately. Skilled representation gives a much higher likelihood for a successful outcome in your case. What are some of the driving signs police officers look for when stopping someone suspected of drunk driving? What are the differences between DUI, OWI, and DWI? DWI (Driving While Intoxicated) – The prosecutormust prove that the defendant operated a vehicle in the District of Columbia and was intoxicated. The law defines “operation” as “in physical control.” To prove intoxication, the defendant must have a BAC (blood alcohol concentration) of 0.08 or higher. The prosecutor does not have to prove that the defendant was actually impaired. OWI (Operating While Intoxicated) – The prosecutormust prove that the defendant operated a vehicle in the District of Columbia while under the influence of any amount of drug or alcohol. The prosecution does not need to prove that the defendant was impaired in any way. The arresting officer only has to testify that alcohol consumption “noticeably” affected your ability to operate the car. What is a Notice of Proposed Revocation or Suspension? 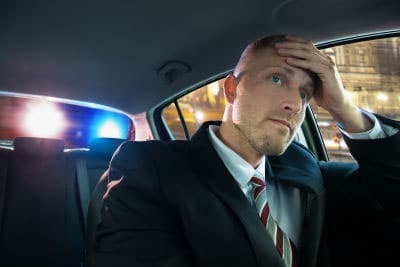 If you are arrested for a DUI, DWI, or OWI in the District of Columbia, you will most probably be issued a pink Notice of Proposed Revocation or Suspension by the arresting police officer. You will need to go, in person, to the DC Department of Motor Vehicles scheduling office and schedule a DUI hearing before the deadline stated on the notice.If you do not request a hearing, you couldlose the legal right to drive in D.C. orget suspended in the District of Columbia. Read the document you receive from the arresting officer carefully. If you reside in D.C. and have a D.C. license, you must request the hearing within ten days of being handed the paperwork. If you have an out of state license, you must request the hearing within fifteen days. The hearing’s purpose is for the DMV to decide whether it has an independent basis to suspend your license regardless of what happens in the criminal case. Your DUI attorney can and should represent you at this hearing.You must request a hearing regardless of whether you are a DC resident. Do the police need to read me the Miranda warning before questioning me? The police do not have to advise you of your 5th Amendment rights until after an arrest has been made. They may question you before the arrest without advising you of your rights. You may respectfully refuse to answer any questions other than giving them your personal information. It is best not to discuss where you have been, whether you’ve been drinking, or how much you’ve had to drink. Once you have been Mirandized, you should call an attorney and no longer speak to the police at all. Can I be charged with a DUI on a bicycle? Yes! The statute covers any moving vehicle that uses the roadway on wheels or traction treads, including, but not limited to bikes, golf carts, and Segways. What is a “sentence enhancement”? Were you actually driving the vehicle within the legal definition of the DC Code? Were you given the Implied Consent warning? Was the breathalyzer properly maintained and calibrated? Do you have witnesses to corroborate your version of events? If you’re looking for an experienced DUI law firm that will fight for your rights throughout the DUI criminal process, contact Jay P. Mykytiuk, Trial Attorney. Mr. Mykytiuk has successfully represented individuals throughout Washington D.C. who have been arrested and charged with a DUI, DWI, and OWI. Contact us today at 202.630.1522 to discuss your case.